Students (and teachers!) 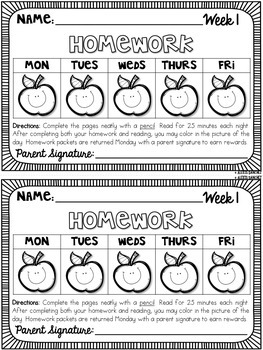 will love these simple weekly homework packets! 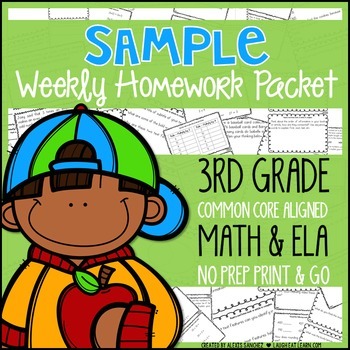 These easy to use homework packets can continue to practice their Math and ELA at home with their families in a quick and simple manner. 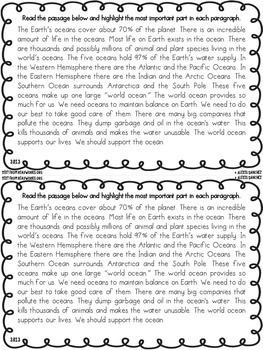 Homework packets are made with a teacher in mind: standards on each page, two per page making it VERY easy to copy, staple and cut in half, and are completely aligned with common core and can be interchangeable throughout the other months I've created. All ideas are mine unless otherwise stated. Please note that this product is for one teacher/classroom only and not to be shared in any matter. Additional licenses can be purchased through my TPT store at a discounted rate. If there are any questions, comments or changes you need feel free to email me at laugheatlearn@gmail.com and don't forget to review! © Alexis Sanchez from Laugh Eat Learn. All rights reserved. 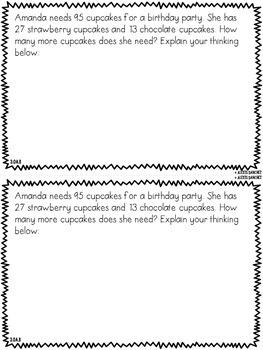 and strategies about homework over at my blog Laugh Eat Learn.